A contented life. Then, years of humiliation ringed by barbed wire. Will Robert Vadra’s acts besmirch the illustrious family name that may have earned him undue favours? 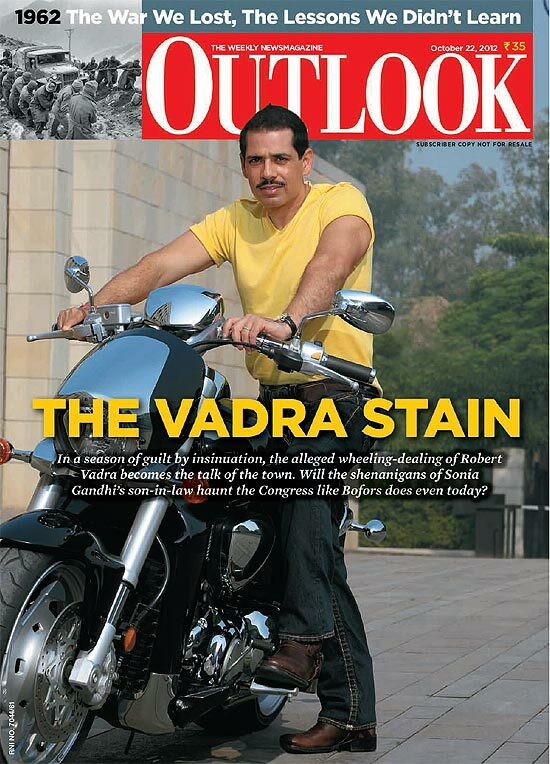 Real estate major DLF doles out crores to Robert Vadra’s fanciful companies. You have to ask why. Another Bofors moment for the Congress? You could well say so. Fifteen years no films, no diary. Now one film, so diary.